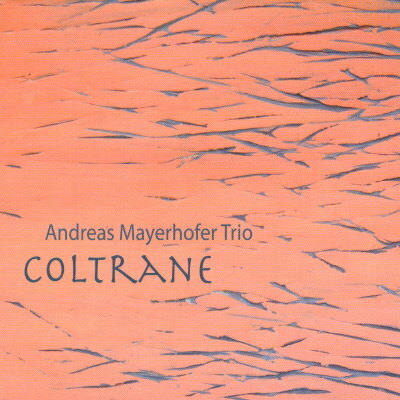 John Coltrane´s 80th birthday and 40th day of death were the reason for Andreas Mayerhofer to look at Coltrane´s music from the view of the piano trio. Not only Coltrane-originals but also standards that became “immortal” due to his interpretation try to catch the “Coltrane-spirit” on this recording. It contains 7 titels from different epochs of his work, mainly from the time of the “essential” Coltrane Quartet in the early sixties up to the “free” epoch in the mid sixties. The soft tones of this trio are a contrast to Coltrane´s ecstatic playing, but they try to approach to Coltrane´s spirituality on that way. Andreas Mayerhofer meets his long time friends Wayne Darling and Gerald Endstrasser for the first time together in one band. Wayne Darling is well known to generations of bass players as the main teacher for double bass at the Jazz University Graz /<?xml:namespace prefix = st1 ns = "urn:schemas-microsoft-com:office:smarttags" />Austria. He worked together with Stan Getz, Joe Henderson, Dexter Gordon, Woody Herman, Benny Carter…..
Gerald Endstrasser is also well known as a teacher and maintains his own “Online Drum School” (www.onlinedrumschool.net). He accompanied musicians like Eddy Henderson, Raoul de Sousa, Timna Brauer and Elias Meiri, Harry Stojka, he also worked with the “Vienna Art Orchestra” and was winner of the International Jazz Competition in Paris.